This October, Kapuso Primetime King Dingdong Dantes topbills Genesis, an original, groundbreaking series that will take the audience on an emotional and inspiring journey towards a new beginning. It gives a glimpse of the triumph of the human spirit despite the looming destruction – that when hope falters, love is the greatest refuge. 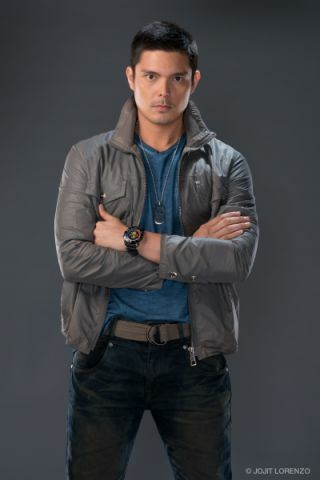 Dingdong portrays the role of Isaak Macalintal a morally upright military detail entrusted with the welfare and safety of the Vice President, Edgardo Sebastian. Kapuso leading lady Rhian Ramos will prove that love sees no end as she breathes life to Isaak’s childhood sweetheart and fiancée Raquel, whom he will save and protect until the very end. 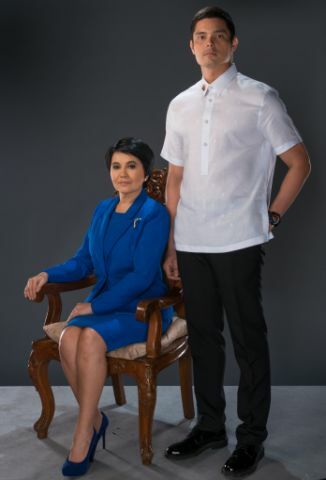 To show that in the midst of destruction, love is the greatest salvation, grand-slam best actress Ms. Lorna Tolentino plays the role of Sandra Sebastian-Trinidad, the principled president who will sacrifice anything for the sake of the country and its people just like her father, Edgardo. Aside from the stellar ensemble, there will also be special participation of respected TV and movie stars: Robert Arevalo (as the Vice President and Sandra’s father), Bembol Roco, Gardo Versoza, Snooky Serna, Shamaine Centenera, Mark Anthony Fernandez, Angel Aquino, Pauleen Luna, Lauren Young, Lito Legaspi and Laurice Guillen (as Isaak’s parents) among others. Under the helm of superb directors Bb. Joyce Bernal and Mark Reyes, Genesis is a journey that will showcase the basic goodness of mankind; that we are all capable of love, hope, faith, forgiveness and sacrifice. The show will draw viewers to believe that no matter what adversities that would come along the way, there is hope for the future and that love sees no end. Don’t miss the much awaited premiere of Genesis on October 15 on GMA’s flagship international channel GMA Pinoy TV. For more details and program information, visit the GMA International websitewww.gmanetwork.com/international, Facebook pages www.facebook.com/GMAPinoyTV,www.facebook.com/gmalifetv, and, www.facebook.com/gmanewsinternational, and Twitter pages@GMAPinoyTV and @GMA_LifeTV. The first smartphone-powered satellite has just blasted into space. Dubbed STRaND-1, the nanosatellite will have an Android-powered Google Nexus One phone as its brain, and run four apps, according to a report on Popular Science. “This is the first smartphone-powered satellite to go into space,” PopSci.com said. PopSci.com said that while smartphones’ GPS units stop working at around 60,000 feet, STRaND-1 uses a small GPS unit designed for space. Also, the phone can upload apps while it is in space. STRaND-1 was one of seven satellites and rockets brought into space by the Indian Polar Satellite Launch Vehicle rocket that was launched in India. twin satellites composing the BRIght Target Explorer (BRITE) mission. The satellites are to study the brightest stars in the night sky by measuring how their brightest changes over time.